Our range of modern and simple wedding invitations is for the brides and grooms who love to be up to date with what’s in style and trending. The beauty of this selection of cards is the pure luxury and lavishness of it. Giant has taken the most popular features of 2016 and brought them to life in this 2017 collection. 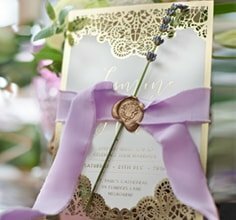 The latest designs featuring gold foiling and techniques such as letterpress are flawlessly showcased. Minimal and marvelous, the pieces are gorgeously understated but will leave your guests gushing over them. Contemporary and current, this range is seamlessly in tune with what styles and trends are prevailing in the bridal industry. Embracing the ‘less is more’ principle, these sleek and stylish wedding stationary sets have been thoughtfully created with a great emphasis placed on attention to detail. Our team have dedicated themselves to bringing you bold and edgy prints. Ultra texturised and pearlised paper stocks have been used to truly add that touch of timeless appeal. Classically sophisticated, these invites have been given a tasteful modern twist for our contemporary and chic couples.